This tutorial shows the proper update installation of the Perkus Maximus mod for Skyrim, using Mod Organizer. This is Part Two of my install of T3nd0's epic Skryrim overhaul mod called Perkus Maximus. This install is for our favorite necromancer, Raven! I'm rebooting the series and will be using PerMa as the overhaul mod, along with many other mods as per usual. This isn't a tutorial per se, but hopefully it can still be helpful to those who need a little help modding Skyrim. 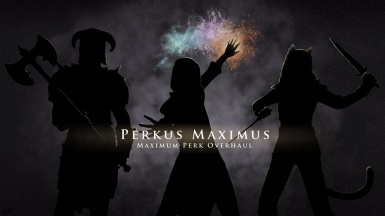 Perkus Maximus on Nexus: http://www.nexusmods.com/skyrim/mods/59849/? PerMa Compatibility and PaMa Patches on Nexus: http://www.nexusmods.com/skyrim/mods/59257/? This tutorial video covers the basic installation of Perkus Maximus for Skyrim using Mod Organizer. 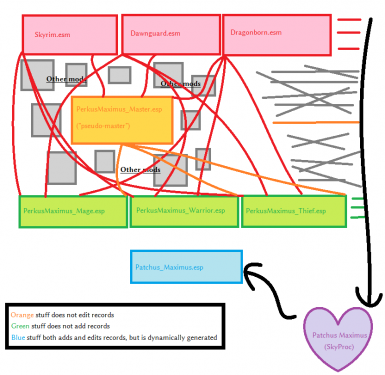 Part 1 is only about PerMa and how to use Patchus Maximus. Part 2 will cover "PerMa Compatibilty and PaMa Patches" (PCaPP), and it's use for additional weapon and armor mods. Other complimentary mods will be covered at that time. For full lists of link, please refer to Youtube page comments section.